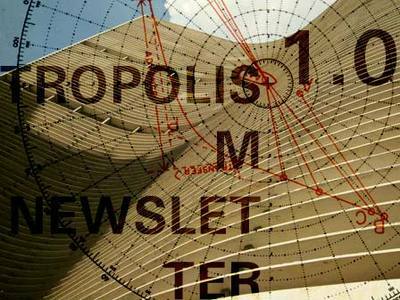 Some of you have signed up for The Tropolism Newsletter. Ages ago. And you have never received anything. Soon your infinite and kind patience will be rewarded. Launching soon: Tropolism Newsletter. In it you will be able to read even more writing from the Tropolism crew. The first few will be some in-depth commentary and inside scoops only available through the newsletter. Sign up today so you don't miss newsletter 1.0. Just enter your email address in the box on the right, and click yes when you get the follow up email.